The Group ventured into property development in 2011, and completed its maiden property development project – Palms Industrial Park in August 2015. 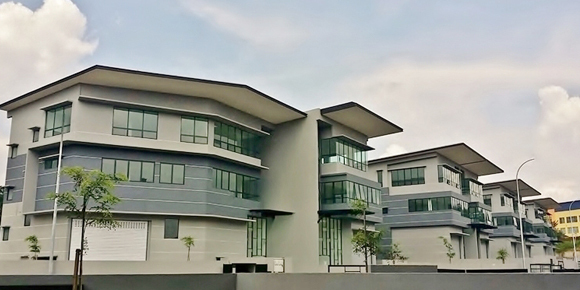 Designed as a premier business hub, Palms Industrial Park is the first development of its kind in the area, comprising sixteen units of industrial factory lots, measuring seven acres across a leasehold land in the booming Kajang region. The Group will leverage its experience in property development and continue to explore and acquire additional land bank to add on its development portfolio.